David Lankes gave the Bertha Bassam Lecture last week at University of Toronto’s iSchool. He was, as usual and as expected, fantastic. Outside the event a small group of iSchool students showed their poster inspired by his noteworthy Atlas of New Librarianship. 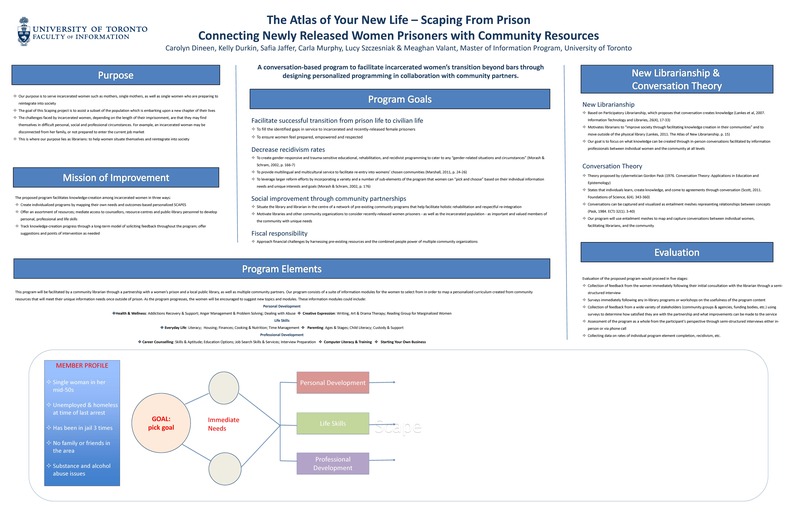 They developed a library-based program for pre-release female inmates to ease their integration back into society through professional and personal development. In essence they wanted to help these women “scape” the atlas of their new lives. Their goal was to create a conversation about the role of librarians in improving society and serving socially-excluded individuals.